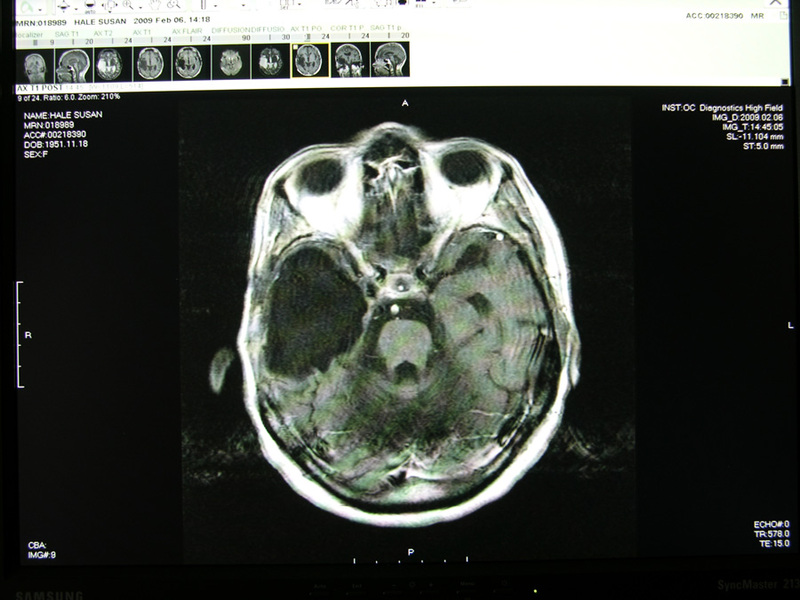 Susan Hale was diagnosed with a Glioblastoma Multiforme Grade IV brain tumor (which measured the size of a golf ball) in May, 1997 at 45 years old. After all other treatment failed, she began Antineoplaston treatment on August 10, 1998 and four months later she was cancer free. Susan Hale has been alive and cancer-free ever since. #1 Diagnosis – After suffering from severe weakness and headaches, Susan Hale was admitted into the Torrence Medical Center Emergency Room in May, 1997 and an MRI was ordered by the on-call ER physician. The MRI revealed a tumor in the temporoparietal region on the right side of her brain. 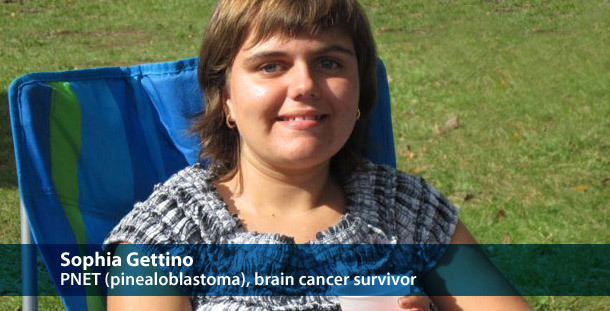 A craniotomy (surgery) to remove the tumor and a biopsy was performed by the Torrence pathologists and they diagnosed her with Glioblastoma Multiforme Grade IV brain cancer. 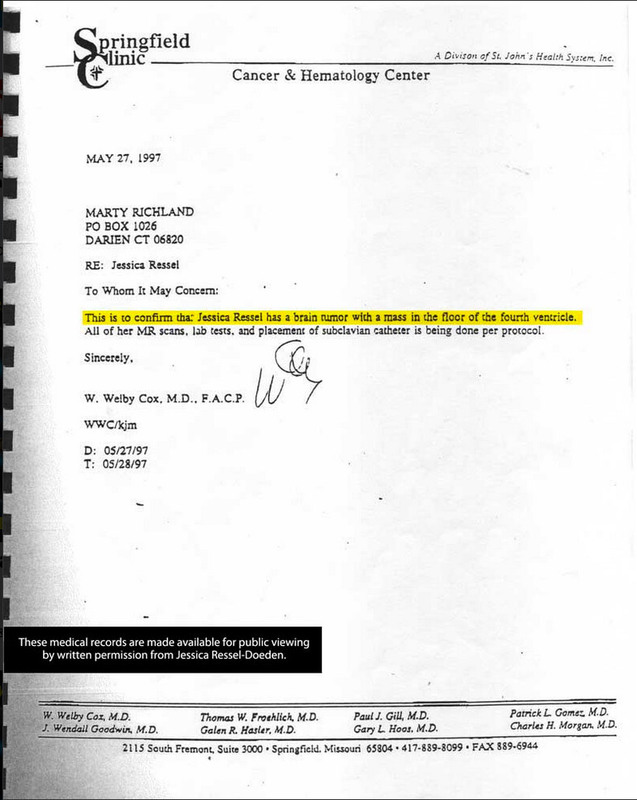 [read May 5, 1997 pathology report – PDF]. 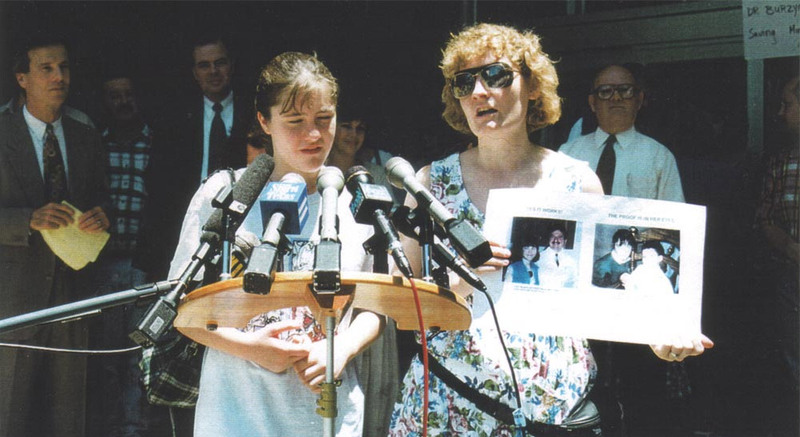 #2 Prior Treatment – After the first May 1997 surgery failed to remove all of her tumor, Susan underwent 6 weeks of standard radiation treatment from May 12, 1997 to June 27, 1997. 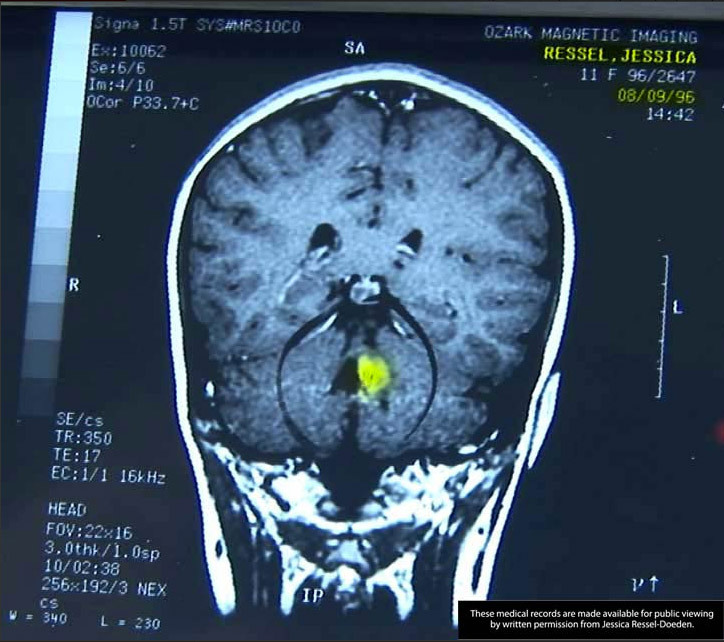 After radiation treatment failed to affect the tumor, Susan underwent gamma knife radiation on October 28, 1997. 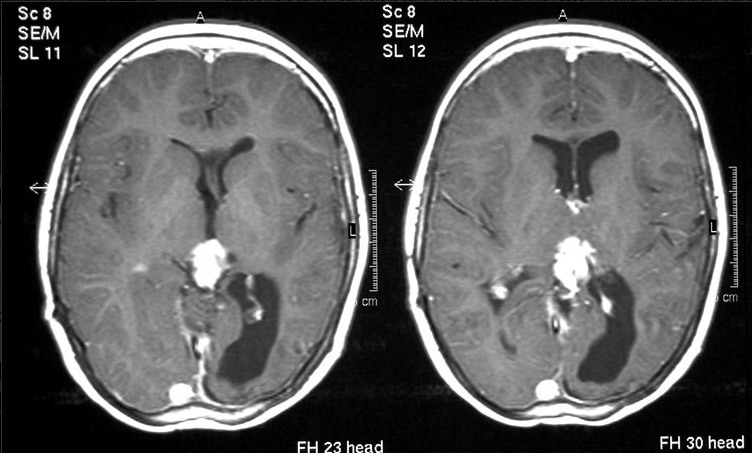 A followup MRI in February 1998 reported no change in her tumor. 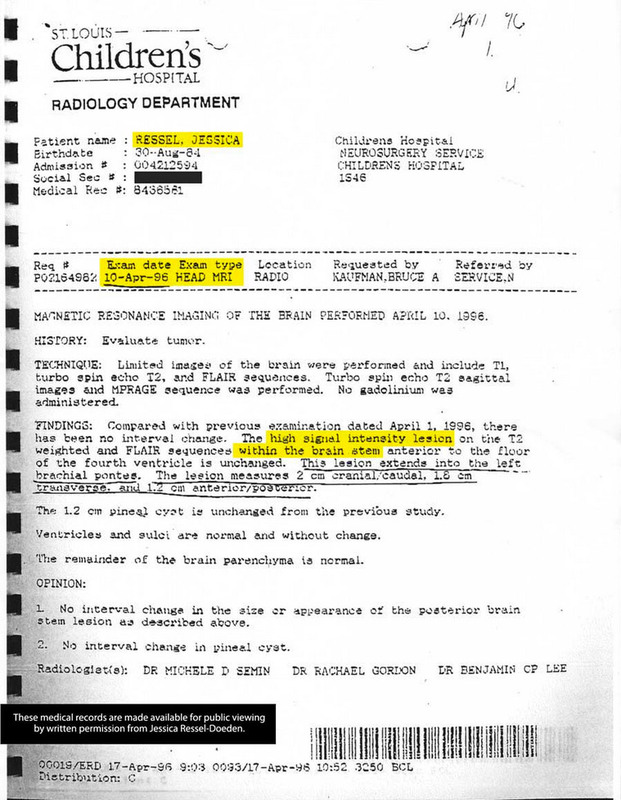 Another MRI in May 1998 revealed the tumor was still growing. Surgeons and Oncologists recommended a second craniotomy (surgery) which was performed on June 3, 1998 at USC University Hospital—which again only removed part of the tumor. 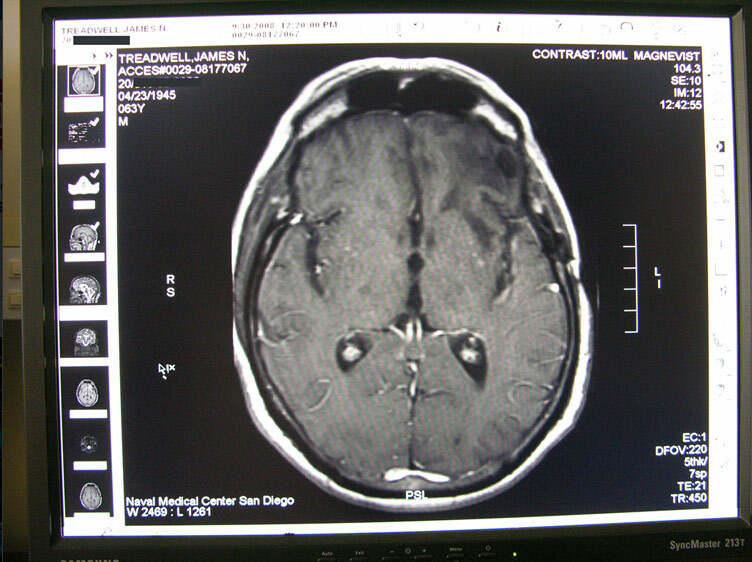 Within a month another MRI revealed that the tumor was still growing. Surgeons advised surgery a third time, in which Susan Hale declined and decided to investigate other “outside” therapies. Despite two surgeries, a full course of standard radiation and gamma knife radiation, Susan Hale’s tumor continued to progress. The New England Journal of Medicine Published a study from 2005 stated: “Glioblastoma, the most common primary brain tumor in adults, is usually rapidly fatal. The current standard of care for newly diagnosed glioblastoma is surgical resection to the extent feasible, followed by adjuvant radiotherapy. In this trial we compared radiotherapy alone with radiotherapy plus temozolomide [Temodar®], given concomitantly with and after radiotherapy, in terms of efficacy and safety.” This is the same treatment Mr. Treadwell received prior to begin treated with Antineoplastons. 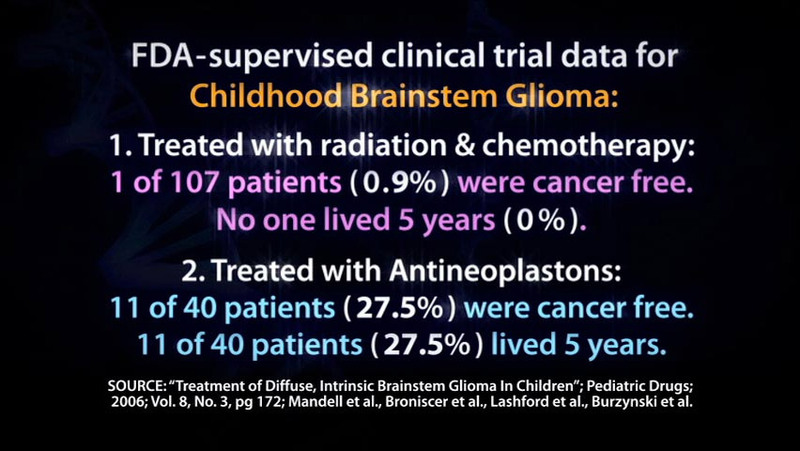 #5 FDA supervised clinical trial data comparing radiation, chemotherapy, and gene-targeted therapy (other than Antineoplastons) to Antineoplaston therapy for Glioblastoma Multiforme Grade IV – Radiation & Chemotherapy in 798 patients = 0% 5-year survival; Gene-targeted drugs other than Antineoplastons in 671 patients = 0% 5-year survival; 368 patients treated with Antineoplastons = 5.25% survival. [Read the full report – PDF]. It should be noted that Senator Ted Kennedy died of Glioblastoma Grade IV brain cancer. Countless Glioblastoma survivors cured by Antineoplastons as well as many other people cured of other types of cancer due to Antineoplastons flooded Kennedy’s office to share with him the existence of Antineoplastons. 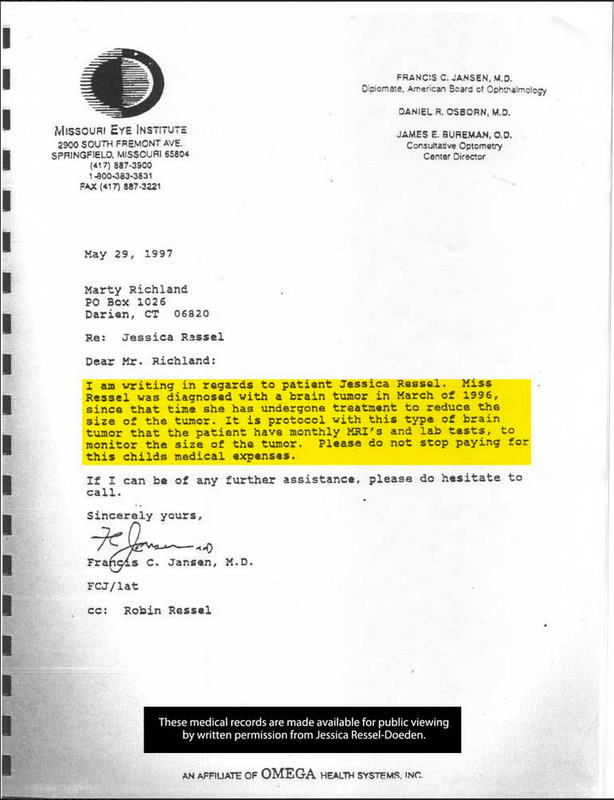 Mr. Kennedy’s wife wrote the Burzynski’s Clinic requesting all communication from Antineoplaston treated cancer survivors stop contacting his office entirely. A year later, Kennedy was dead. 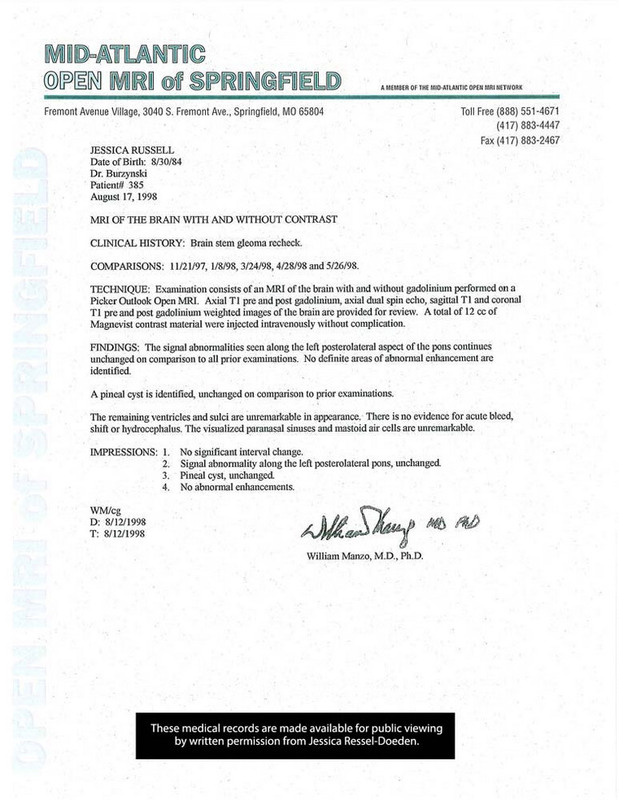 Susan Hale’s medical records are published by written authorization by Susan Hale.